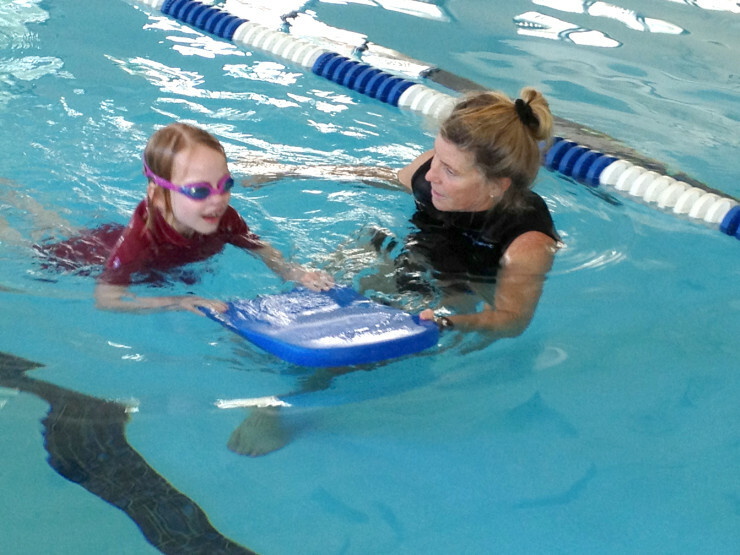 Stroke development is the cornerstone of lifelong swimming, whether it is recreational or competitive. Establishing good form is most important at the beginning. For younger students who are still growing and learning to coordinate mind and body, the early stages of proper form can look ungraceful but still retain an essence of proper movement pattern. As a student matures, stroke refinement becomes more a matter of training the mind to hold its focus and establish a solid foothold in muscle memory. Summer 2000: Chris on his last season with Mesa set 5 individual mesa records and 4 league records. He was also high point scorer at finals. Summer 2001: Felicia set 15 Mesa records, 12 individual and 3 relays. She had 6 individual BVSSL records. Patricia set 11 records, 9 individual and 2 relays. She had 6 individual BVSSL records. Both were high point scorers at finals. 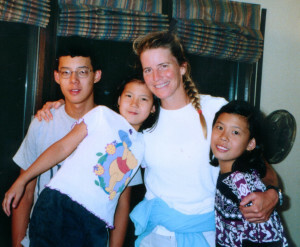 Now they have dreams of swimming in the Olympics and are members of the Nova Aquatics Swim Team in Irvine, California. It’s rated the top team in the country and has 11 Olympians currently training on it. At their first Long Course Junior Olympics in California, they each finished in the top 16 for every event. Felicia got 8th in the 50 back, 9th in the 100 back, and 13th in the 50 free. Chris got 9th in both 100/200 back, 10th in the 50 free, and 11th in the 100 free. Patricia got 9th in the 50 back, 11th in the 50 free, 12th in the 100 free, 14th in the 100 back, and 15th in the 200 IM. Thanks for everything, Beth!! You know how to approach teaching and fixing the technique of the strokes. You do whatever it takes to make swimming fun and efficient, like showing stroke videos and a great variety of drills. Another one of your strengths is that you are fun to work with, and you are a great friend.